Learn how to identify and effectively control roly-poly bugs using proven, organic techniques. 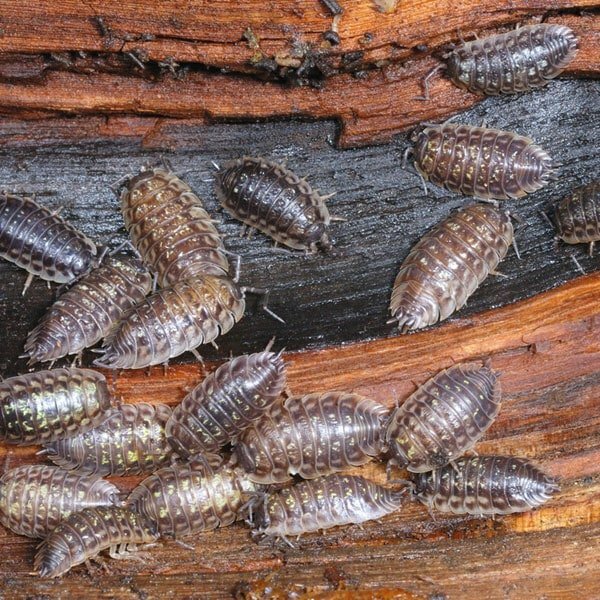 Often found in home gardens and landscaped areas across the country, sowbugs (Porcellio scaber) and pillbugs (Armadillidium vulgare), also known as roly polies, feed primarily on decaying matter and are important in the decomposition process. However, if present in large numbers they have been known to feed on seedlings, new roots, lower leaves and fruits or vegetables laying directly on the soil. These small scavengers scurry when disturbed and are often found outside hiding under leaves, rocks, garden debris, mulch and other dark, damp areas. Occasionally they will enter homes as accidental invaders. Indoors they are simply a nuisance and cannot survive for more than a day or two without water. These insects do not bite or sting and cannot damage household structures. Similar in appearance, sowbugs and pillbugs (3/4 inch long) are slow-moving oval-shaped crustaceans that more closely resemble crayfish, shrimp and lobster than insects. They vary from gray to brown to almost purple in color and have seven pairs of legs, elbowed antennae, and a segmented hard shell-like covering, similar to that of an armadillos. Sowbugs also have two tail-like structures on the rear end that pillbugs lack. Note: Pillbugs are sometimes called “roly-polies” because they often roll up into a tight ball when disturbed. Both sowbugs and pillbugs mate throughout the year with most of the activity occurring in March and April. The female incubates her eggs in a fluid-filled pouch (marsupium) located on the underside of her body for 3-7 weeks. After hatching, the young nymphs (similar in appearance to adults, only smaller) remain in the pouch for up to two months until they can care for themselves. Nymphs molt, or shed their exoskeleton, at regular intervals and reach sexual maturity, usually within a year. As adults, they continue to molt about once every month. Females can produce broods of approximately 30-40 young that may live up to 3 years. There are one to two generations per year, depending on weather conditions. To get rid of roly poly bugs reduce the habitat favored by these pests by eliminating garden debris, leaf piles, fallen fruit and weeds from all growing areas. Use mulches that are coarse enough to let water pass through easily so the surface next to plants will not remain damp for long. Improve air circulation around plants by providing trellises for vines and raising fruits, such as strawberries and melons, up off the ground. 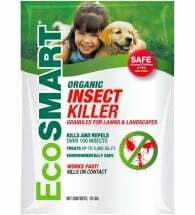 Diatomaceous earth, made from the finely ground fossils of prehistoric fresh water diatoms (one-celled shells), is abrasive to crawling insects and can be used as a barrier to protect plants. 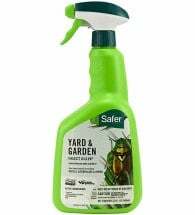 Apply Insect Killer Granules around foundations, lawns and landscaped areas to eliminate or repel all kinds of troublesome pests. 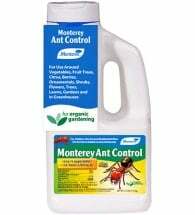 Scatter Monterey Ant Control, a safe and organic bait containing iron phosphate and spinosad, evenly over the soil around or near problem areas. 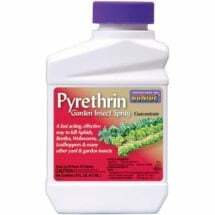 Apply fast-acting botanical insecticides as a soil drench if pest levels become intolerable. Tip: Black plastic mulches will discourage many insects by creating an environment that is too hot for them. Note: If pests are a problem indoors repair and seal cracks in the foundation wall, around basement windows and along door jambs. Reduce high moisture areas near possible entry points by properly draining water away from the house.